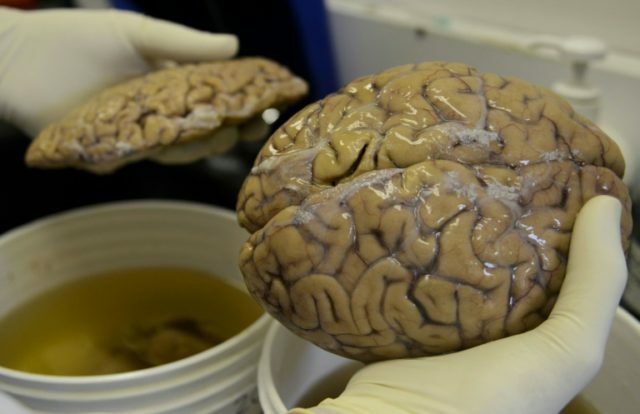 Paris (AFP) – Around the age of 13, the human brain region that hosts memory and learning appears to stop producing nerve cells, said a study Wednesday described as “sobering”. The finding challenges a widely-held view that the brain’s hippocampus region continues to generate neurons, which transmit information through chemical and electrical signals, well into adulthood in humans, as in other mammals. Neurons are the cells that allow animals to react to their environment by transferring data about external stimuli such as a smell or sound to the central nervous system, and from there to muscles and glands to respond appropriately. Some research had suggested that hundreds of neurons are created in the human hippocampus every day, and it was thought that finding ways to boost such “neurogenesis” may help tackle age-related brain degeneration. Looking at brain samples from 59 adults and children, however, “we found no evidence of young neurons or the dividing progenitors of new neurons” in the hippocampi of people older than 18, study co-author Arturo Alvarez-Buylla of the University of California in San Francisco told AFP. They did find some in children between birth and one year, “and a few at seven and 13 years of age,” he said. Published in the scientific journal Nature, the study “shows that the human hippocampus is largely generated during foetal brain development,” the team said. They did find some newly-created neurons in different bits of the brain called ventricles, but said other regions have yet to be explored to determine whether neurogenesis happens there or not. In a comment also carried by Nature, neuroscientist Jason Snyder from the University of British Columbia said, describing the study results as “sobering”. “These findings are certain to stir up controversy,” he said, and underlined they would have to be confirmed by other researchers. There had been a “general consensus that the hippocampus is one region in which adult neurogenesis (neuron production) exists in humans as it does in animals,” he wrote. But the authors of the latest paper said previous research may have misreported the detection of new hippocampal neurons as the protein used to trace them in animals does not work the same way in humans. The hippocampus has also been linked to mood, stress, and some neurological diseases in humans. Adult neurogenesis has been observed in the hippocampi of rodents and monkeys. But it is known not to occur in cetaceans — the group that comprises dolphins, porpoises, and whales.